With the fast paced hustle of city life, the urban yogi’s practice can often become another item on an overflowing list of to-dos. For many of us, yoga becomes something that needs to get done rather than something that needs to be felt. 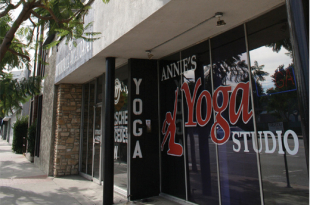 To encourage students to slow down and detach from the world outside, Creative Chakra Holistic Health & Fitness Spa in Marina Del Rey offers yoga classes that enhance the senses and the imagination. 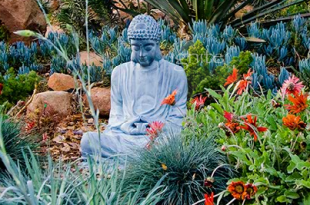 A veritable oasis set only blocks away from the ocean, Creative Chakra is a full-service center that provides holistic therapies, spa treatments, yoga classes and spiritual seminars. 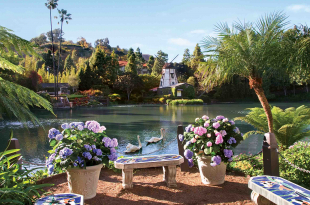 Located within an unassuming building in a residential neighborhood on the Marina Peninsula, the spa was founded in 1998 by holistic practitioner Sandie West. Trained in massage and aromatherapy, Sandie established Creative Chakra as a destination for those looking for more than a monotonous, institutionalized spa day. Creative Chakra is a tranquil getaway for the senses that aims to provide a highly personalized experience, enabling the mind, body and spirit to peacefully align. Without coincidence, the balance cultivated at Creative Chakra parallels the original intentions for yoga. The senses are immediately engaged upon entering the cozy yoga studio: vibrant, green plants adorn the entryway, and soft music plays quietly from a corner. Traces of Creative Chakra’s proprietary blend of aromatic oils hang in the air while the subtle warmth of the space contrasts with the coolness of the bamboo floors. Fi Yang Mah, whose billowy voice guides each session as though it were a picturesque meditation, leads the yoga classes at Creative Chakra. More than physical motions, the movements explored in her classes become envisioning exercises. She will ask you to imagine your vertebrae as a stack of coins while you lengthen and contract your spine during seated poses and will guide you to envision boat sails attached to your hips to navigate yourself deeper into downward dog. Utilizing the imagination in such a way allows the body to relax and accommodate itself in even the most difficult poses. Each yoga class that Fi teaches is a unique creation, and no one class is the same as another. Trained by the venerable Srivatsa Ramaswami, she is knowledgeable in over 700 asanas. Drawing from such a vast reservoir, she is able to masterfully incorporate the gliding repetitions of vinyasa with rigid elements of Iyengar, creating a complementary combination of hard and soft postures. 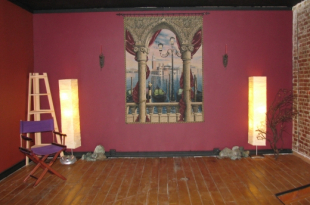 Private yoga classes are offered by appointment, and group sessions meet at various times throughout the week. 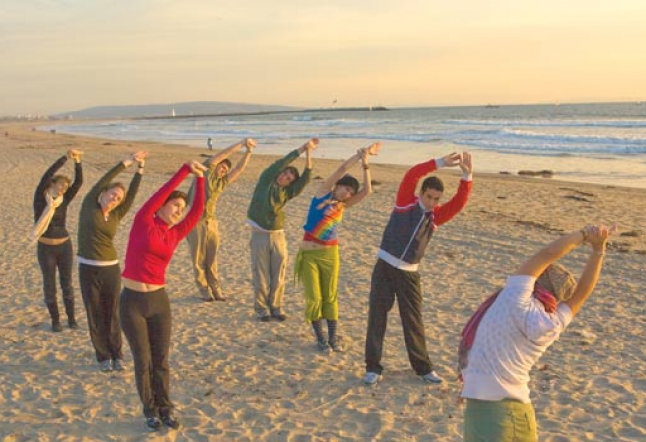 With the benefit of a stellar location, a few of Creative Chakra’s classes meet beachside. 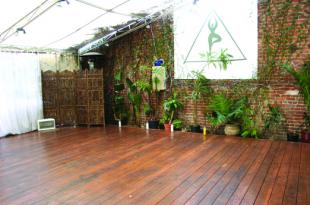 Specialty classes are also available, such as pre and post-natal yoga and yoga for surfers. However, in order to attend a yoga class at Creative Chakra, an RSVP is required as this ensures a small class size and maintains the integrity of the personal atmosphere. Creative Chakra is committed to granting its patrons personalized care and attention. To this end, there are built-in bathrooms in each room. There is also a back entrance for those who want their time at the center to remain private and uninterrupted. With an outdoor meditation garden complete with a lounge and library, it is possible to spend hours undisturbed in the serene setting. Aside from yoga, Creative Chakra also provides services such as mud and seaweed wraps, facials, acupuncture, aromatherapy and Pilates. 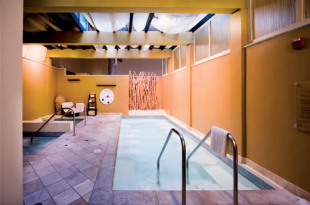 Coupled with hydrotherapy in a fragrant tub or a silent massage that loosens the muscles without hard kneading techniques, taking a trip to the studio will no longer feel like another activity to check off the list. A visit to this haven will become an all-encompassing sensory delight.